The Drums recently released a video teasing their upcoming sophomore album, which has now been revealed to be titled Portamento, and today, the band announced that the follow-up to last years The Drums will be released on September 12th. The band, which now consists of vocalist Jonathan Pierce, keyboardist Jacob Graham, and drummer Conor Hanwick, will release the first single from the album, titled "Money," on September 5th. You can listen to the full track below. 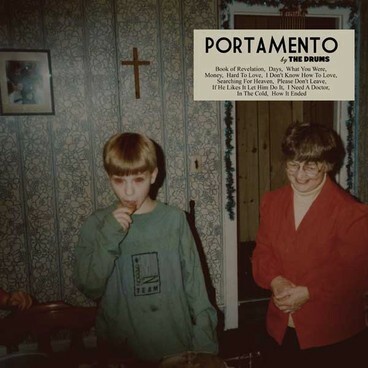 You can also check out the full tracklisting for Portamento, the artwork of which is pictured above, after the jump. [Listen] Wugazi - "Slow Like That"
[Download & Listen] Theophilus London - "No Particular One" x "I Stand Alone"